Hi. My name's Byron. 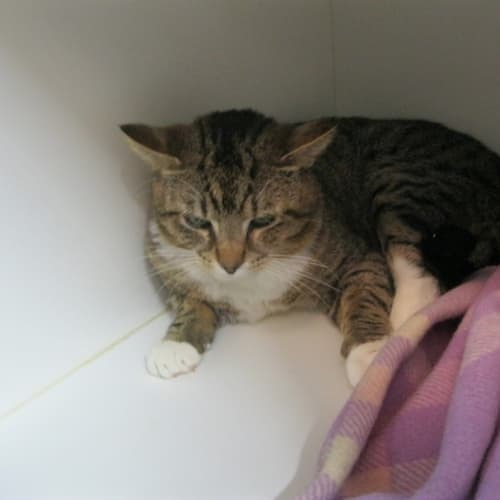 I'm a four-year-old Tabby &amp; White male, looking for a home that will maintain the standard of living I've enjoyed for the last six months. They say I'm a romantic. Well, I was once, before my operation and my FIV+ diagnosis. But I do have other qualities.Twelve months ago, I was a stray, living on the streets. I was pretty feral, living from paw to mouth, trusting no-one, and getting into more scrapes than a restaurant's crockery. I know because I used to hang out in back lanes hoping for a feed-that usually came with a kick and a 'get outa here! 'Then I was caught napping - the feline family is noted for its day-time sleeping habits - put in a cage, and taken to Cat Haven. Another cage. So small you couldn't swing a dead ... - well you can finish the sentence. What an insult. Yes, I was well looked after - teeth scaled and cleaned, paws pedicured, given all my shots, and well fed.But free-dum? In a cage? No way. I grew depressed, anti-social. Then David came along, a long-time foster-carer. What a shock. What a difference.At his place, I hid behind the bookcases for the first two weeks. I just couldn't cope with the space, the free-dum, the classical music. At midnight, when everything was as quiet as a mouse with gloves (that's Dylan Thomas, I think), I discovered the litter tray in the bathroom, and the laundry with a water bowl and dry food. He sure understood my hierarchy of needs. I came to Cat Haven because I did not get along with the other cat in the household. 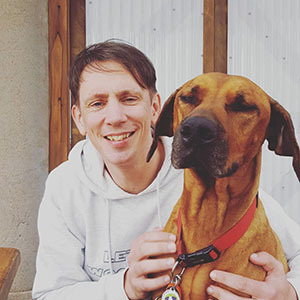 My old owner says that I am a clingy sook who would suit someone who has lots of time and can give me constant attention. I can be a bit shy to begin with but once I trust you really love to be around you. I have been surrendered as my previous house was very stressful and I was wasn't coping with the younger children. 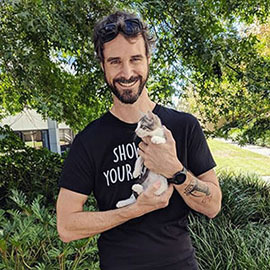 It's best I go to a home where I will be the only pet and get all the love and attention. 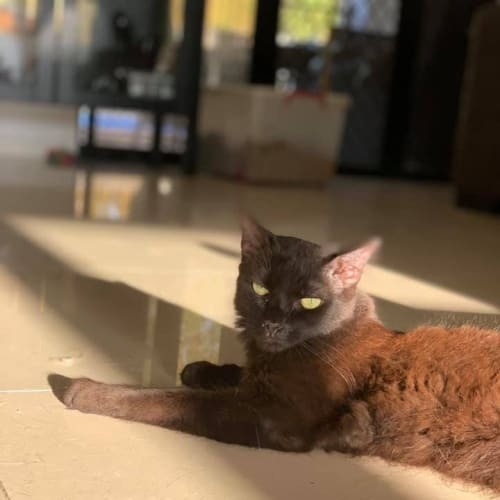 I have never been outside, inside is stressful enough for me, so would like to remain an indoor only kitty cat.When I first came into foster care I was so scared, my foster family took time teaching me to love again and now I love pats! I'll even jump onto my foster carer's bedside table when her morning alarm goes off and demand my morning pat! If I don't get it, I will tap her with my paw to remind her what time it is.I do like my own space, but I also like to be around you as much as possible. Especially if you're in the kitchen, maybe you're making some food for me?I love that tap in the bathroom! I will meow at my foster mum to turn it on. I also get get zoomies and run around the house chasing shadows! 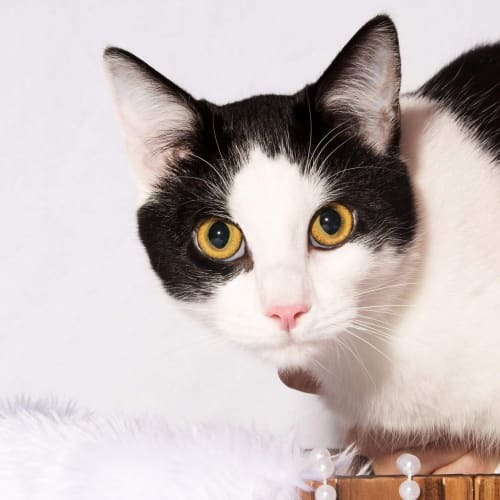 I'm quite vocal when I want love, I would suit older kids, I'm not shy about giving you a warning smack if I've had enough.You should come visit me in my foster home! We are in Bayswater. Hopper is a beautiful cat with a beautiful nature. He has had some terrible luck trying to find a home so I pray his perfect home is just around the corner. 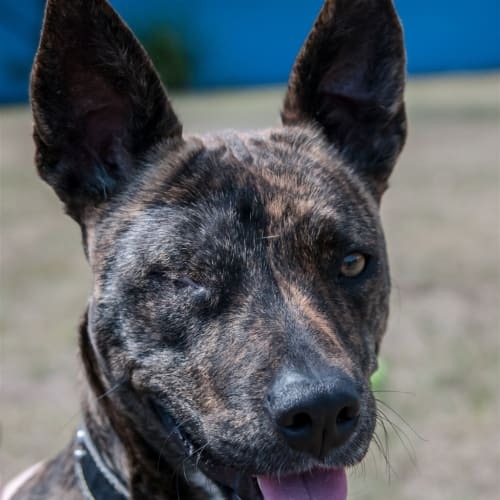 He was rescued as a baby with his Mum and Siblings from Campbelltown Pound. They all got rehome and were happy. 7 months later we were contacted by his owners saying they can no longer keep him as they were homeless so Hopper came back to us. Than he was adopted again and returned once again for reasons not relating to Hopper.He is now back with me and hoping third time will be lucky. 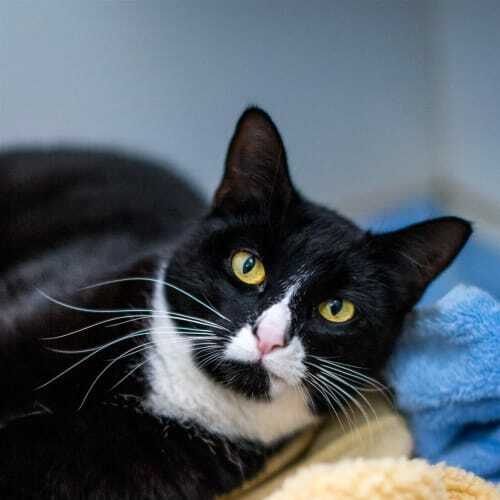 He is a gentle loving boy who loves human contact and follows you around wanting to be with you. He is tolerant with other cats and a small dog but I do think he would like to be the only kitty cause he is a spoilt little prince and loves one on one attention. 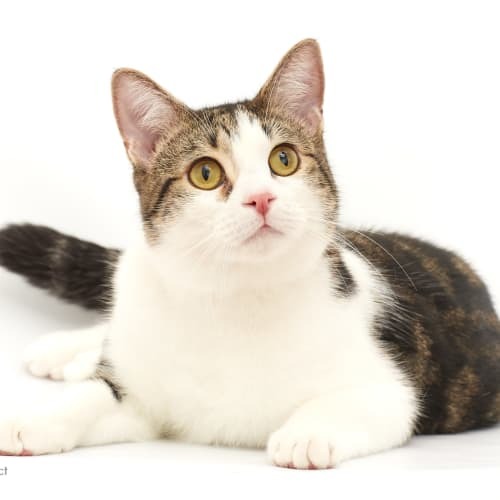 He is almost 3 years old now and ready to meet you. 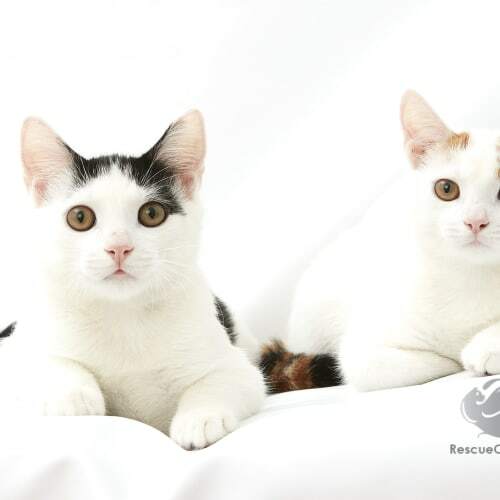 These beautiful Brother & Sister are very bonded and have been through so much together. They were rescued from the streets and have been with two foster carers since and they are so in need of a home of their own.They are a little shy at first but every cat that comes from a difficult back ground needs that extra love and time to trust again.These are beautiful cats just waiting for the right person to come along and give them at chance. 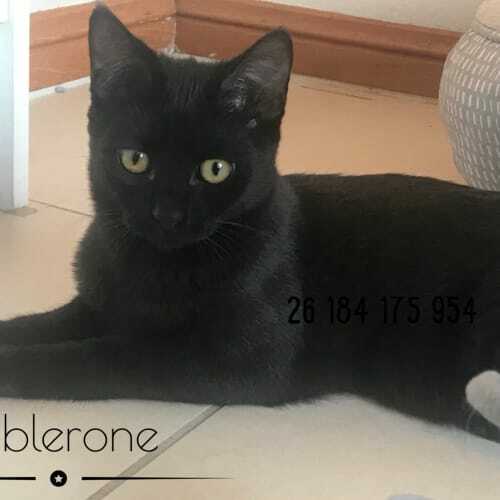 Toblerone was a little kitten found on the side of a busy main road when a kind soul picked him up and took him to our vets for care and some love. 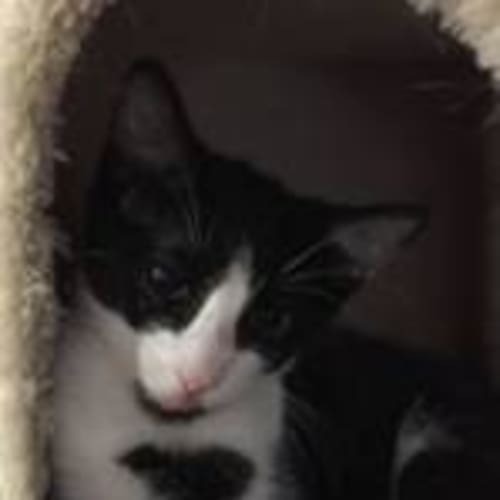 We were contacted and then he came to us and went into foster care.He is a very independent little cat that can entertain himself and certainly likes to to charge of all the other kittens and cats in care. He is always the first to the feeding bowls and pushes everyone else out of the way hehe He is a beautiful chocolate / black colour and is waiting to find his own family. These two little siblings have the best nature you will ever see in cats. Brother & Sister Team that really love each other. They were saved from death row and that’s very hard to believe right ? They are loving, playful and like to follow you around like dogs and will flop and roll on you at any chance they get. You sit they appear on your lap. They are good with children and a small dog. Look no further if your looking for a pair of love birds. 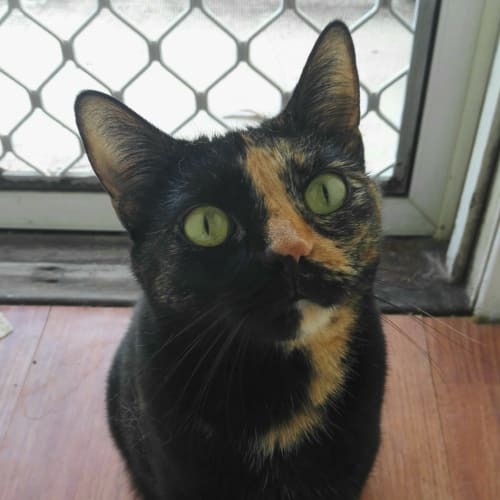 Poppet is a petite and elegant little girl with her black tortie coat and ginger streak on her face. She loves attention and will come to you for pats, scratches and games and purrs the whole time she’s getting petted. If it’s dinner time, she loves her food and is perfectly toilet trained. Poppet will sit on her foster mum’s lap for pats and smooches. Dangling shoe laces are a favourite chase game and Poppet also loves toys and anything she can bat around the floor.She loves climbing and would love a big cat tree/scratching post. She also needs a hidey hole to feel safe in when new people come to the house. 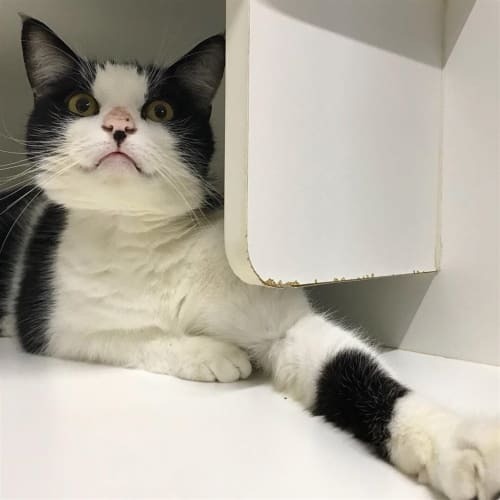 She doesn’t use the claws too much when playing, but will occasionally bring them out.Poppet would suit a house hold with people that understand she will need a little bit of time to adjust and settle in with her new humans as she is very shy and scared with new people. 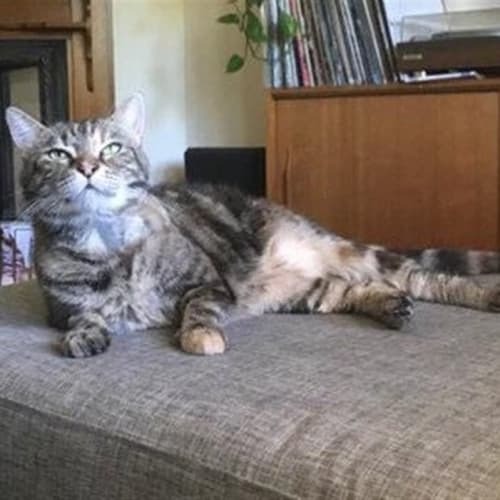 This is why she would suit a family with adults and older children/teenagers who can understand about sitting quietly with her and letting her come to you when she’s ready.All Little Paws kitties come to you vet checked, desexed, vaccinated, microchipped, wormed & flea treated. As we are a rescue group, we are not negotiable on price.